Quality online medical billing courses exist and it's easy to learn what's involved and how to find a good program. However, by learning the red-flags in questionable programs, you have an additional knowledge to help you weed out the scams. Medical billing training offered by educational clearinghouse (school that teaches everything from accounting to zoology). The problem with EC's is that you're not taught the in-depth information you need to be proficient within the medical billing industry. Training programs that don't cover the essential aspects of doing medical billing including anatomy, medical terminology, coding, insurance rules, and billing software programs. Medical billing training is separate from certification, so programs that promise certification should be suspect. After your training, you can get certified, but certification isn't included in training. Note, only three organizations, such as American Association of Professional Coders, award medical billing certifications, which involves a lengthy and extensive exam. When you take a course the most that they can give you is called a "Certificate Of Completion" which means that you satisfied the requirements of the course and have been awarded the certificate as proof that you did. Program that don't offer several payment options. Depending on where you take the course (i.e. a community college), you might even be eligible for financial assistance. Medical billing training that doesn't allow you to speak with past or current students. Not providing references is a red flag. When you find a program you like, do your research. Don't be afraid to ask questions, such as how long has the school been around and is it accredited, what is the credentials and experience of the instructors, does the program prepare you for the certification test, what are payment options and is there a refund policy, and is there help in finding jobs or clients? 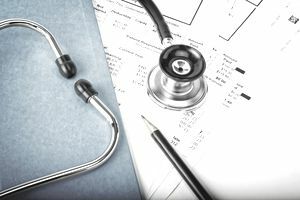 If you feel you've been scammed by a medical billing program, there are a few things you can do, including reporting the program and contacting your payment processor to report the fraud. Like other work-at-home industries, the home based medical billing industry has scams and questionable programs. However, that shouldn't keep you from becoming a medical biller. Instead, learn all you can about the industry including how to choose a reputable training program, and how to find legitimate medical billing jobs or start a home business.